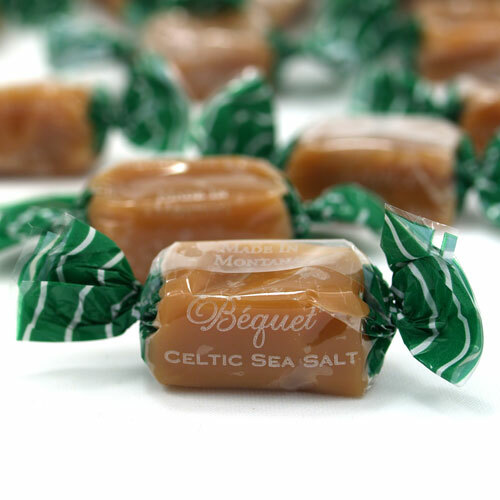 American caramels seasoned with grains of Celtic sea salt for a gourmet sweet 'n' salty treat. This item may melt at temps 90° and up! Read Warm Weather Shipping info. Ingredients: Brown sugar,tapioca syrup, heavy cream, butter, fructose, milk, sugar, sea salt, non-GMO natural flavor (pure vanilla extract), salt. Additional information from the manufacturer: Plant is tree nut-free, peanut-free, wheat-free, egg-free and soy-free. Gluten-free info: Package states Gluten Free. 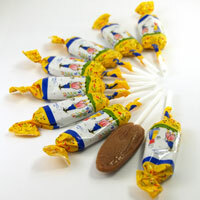 Contains approximately 20 caramels per bag (8oz). I really wanted to say that these are the best caramels I have every tasted. I have Celiac and am very sensitive. I have been eating these for years with no adverse effects so they do not even have a drop of gluten in them. Go ahead Celiacs enjoy! Have bought these for a long time now, and after being away from them for awhile, reordered and they are still awesome! The saltiness is just right and the flavor cannot be beat anywhere. Bequet does make the best caramels in the USA, so close to the Belgium confections! Super buttery, smooth cream throughout, no grit, exceptional. Just a bit too salty for our family. Bequet website states these are subtlely salty, these are really moderately salty with a strong sea salt finish. Alot of sodium-135 mg per 2 piece. Sounds like I am wine tasting! 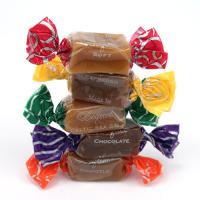 Their regular caramels are #5 excellant! Fine ingredients. The BEST! addictive.... also recommend putting in refrigerator, great cold. ENJOY! Tasted these at a friend's house in Kalispel. They are too, too good!!! I need more to take home to friends! The sea salt adds a new level to these wonderful soft caramels. You just can't get enough of them.